* Start times are subject to change, so keep your eyes peeled for email updates from us four weeks before the race. Allstate Hot Chocolate 15k/5k uses assigned start corrals to maintain a safe, fast, and fun course for all participants. Your corral assignment will be emailed to you approximately two weeks prior to the race and will be printed on your race bib. Please be in your corral fifteen minutes prior to the start of your race. There will be a short break between each corral. The 5k and 15k courses begin at the same time and split at approximately mile 2.6. There will be both 15k and 5k runners in each corral, so please pay attention to signage and directions from race officials to make sure you follow the correct course. View the course split animation. 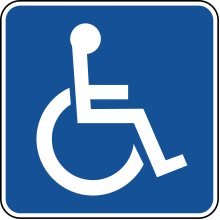 Wheelchair athletes are permitted on a case-by-case basis, based on your wheelchair type and the city’s course. To request an accommodation, please send an email to info@hotchocolate15k.com at least three weeks in advance of the event. All participant entries are non-transferable and non-refundable. Race numbers cannot be transferred to another participant. We reserve the right to disqualify this person and remove them from the results. Depending on the distance, there are various checkpoints on the course where a participant’s timing chip is recorded. If a participant’s chip misses checkpoints, they will be disqualified and removed from the results. If a participant feels this decision has been made in error, they must contact EnMotive at results@enmotive.com. All bibs have a timing chip affixed to the back of the bib. Removing or tampering with the chip, or completing the event without an official timing chip on your bib will result in disqualification, per USATF rules. Wheelchair athletes are permitted on a case-by-case basis, based on your wheelchair type and the city’s course. Wheelchair athletes are required to email us at least three weeks in advance of the event. Sorry, no dogs are allowed on the course. And since this is an event involving copious amounts of chocolate, it’s probably a good idea to have Fido sit this one out—even as a spectator. Unfortunately no, baby carriers or strollers of any sort are not allowed on the 5k or 15k courses. This includes but is not limited to regular push strollers, umbrella strollers, jogging stroller, prams, wraps, backpacks, Bjorn’s, soft carriers, slings and wagons. However, we encourage spectators to bring the little ones to help cheer on the runners! -Decide on a meeting location in the event you are separated. Select your meet up location and discuss it with your child. Write it on the back of your child's bib to help race organizers reuinte both parties. -DO NOT plan to meet at the finish line. There is no stopping or standing in the finish line area. For safety reasons, all runners must keep walking and exit the chute. -Be sure to fill out the Emergency Contact Information on the back of both yours and your child's bib. -On the back of the child's bib, indicate the bib number of the person accompanying the child to the race, along with their cell phone number. Please write the child's bib number on the back of the adult's bib. -When possible, run with your cell phone. -If you find yourself in need of assistance on race day, contact a race official or visit the Information Services tent. There will be plenty of aid stations on course stocked with water and Nuun sports drink. There will be 1 on the 5k course, and 4 on the 15k. You don't need to wait until the finish line to enjoy a treat. We'll have sweet stations along the course with delicious snacks! There will be tons of toilets on course, because when you gotta go, you gotta go. Port-o-johns are located at the start/finish area and at the aid stations.